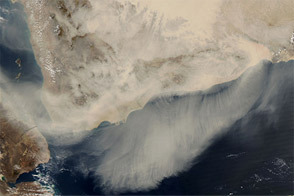 The dust storm that started on March 17 continued its southward movement two days later, drifting off the southern end of the Arabian Peninsula and over the Gulf of Aden. The Moderate Resolution Imaging Spectroradiometer (MODIS) on NASA’s Aqua satellite captured this natural-color image on March 19, 2012. 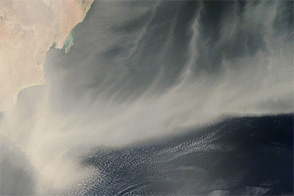 Dust was especially thick over western Yemen and the western part of the Gulf of Aden. 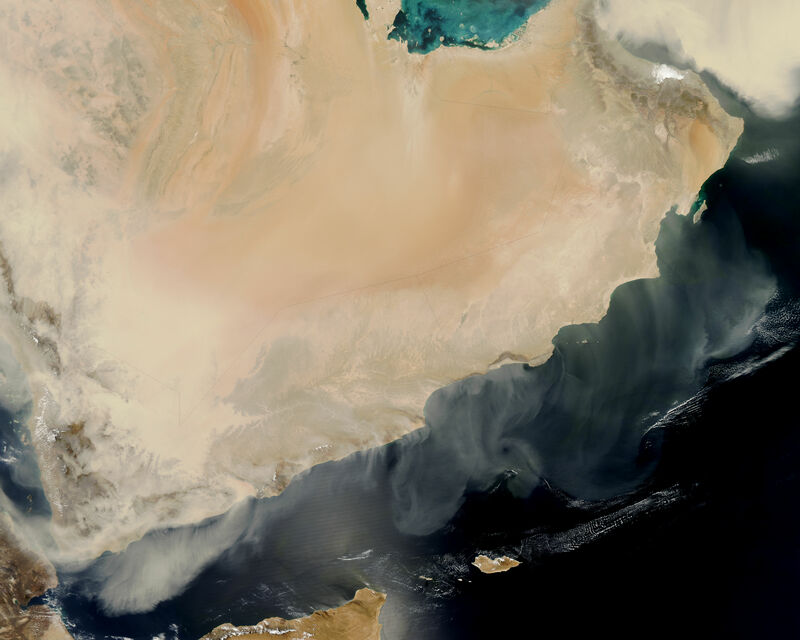 Off the coast of eastern Yemen and western Oman, the dust was much thinner. 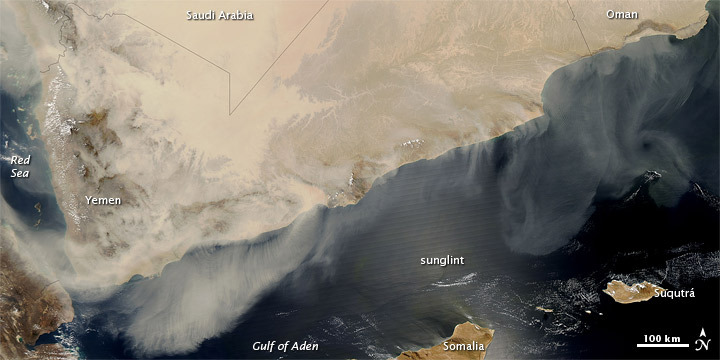 The cloud of dust stopped short of the Somalia coast and the island of Suqutrá (Socotra). 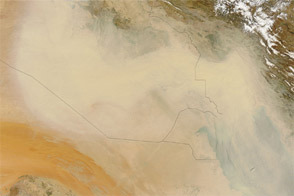 By the time MODIS acquired this image, dust activity over the Arabian Peninsula had caused hardship in multiple countries, affecting airports and schools, and forcing hundreds to seek hospitalization, Gulf News reported. 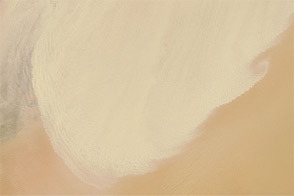 This image shows a light-colored stretch of ocean around the northeastern tip of Somalia. This is not dust but sunglint where sunlight has reflected off the ocean surface and into the satellite sensor. 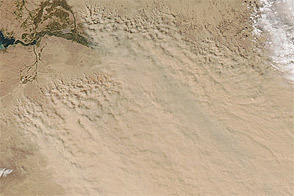 The high-resolution version of this image (link above) shows a portion of another dust storm centered in southwest Asia. 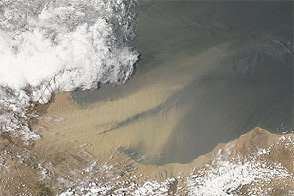 Acquired March 19, 2012, this natural-color image shows a dust storm blowing off the southern end of the Arabian Peninsula. Kazmi, A., Vaidya, S.K. (2012, March 20 [local time zone]) Bad weather hits Fujairah air traffic. Gulf News. Accessed March 19, 2012.